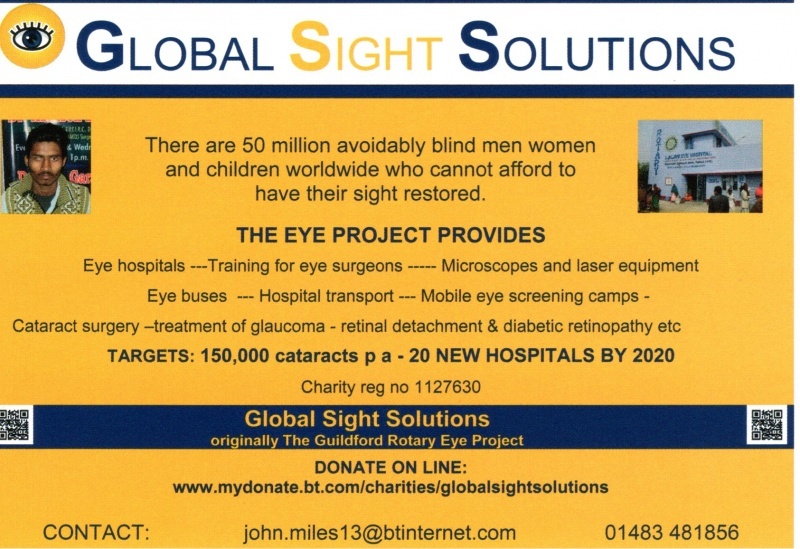 On Wednesday, 5th December, John made an excellent presentation about the Guildford Rotary Eye Project. He is one of their main driving forces. 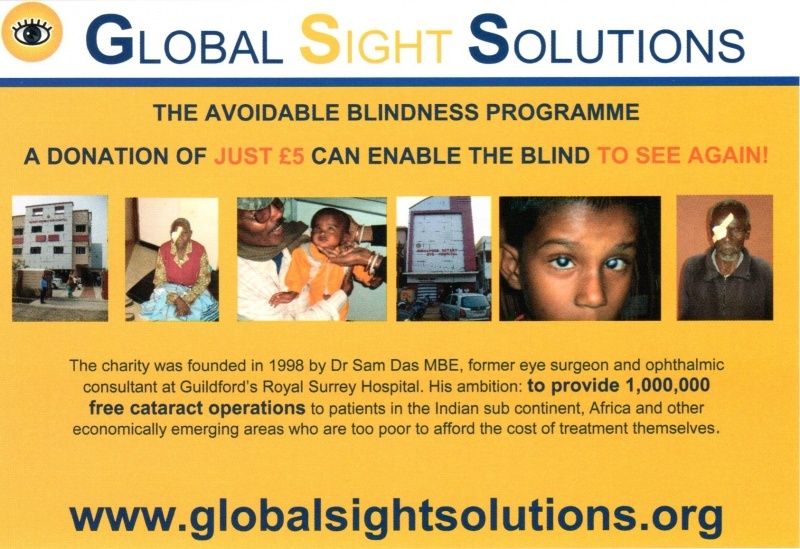 Global Sight Solutions, originally The Guildford Rotary Eye Project, establishes eye hospitals in the developing world which provide free eye care for the poor. It operates a transparent funding policy via local trusts and ensures each hospital becomes both sustainable and financially free-standing while offering the highest standards of care.